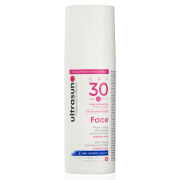 Ultrasun Face SPF 30 Anti-Ageing Formula helps you to protect your skin from the sun whilst fighting the signs of ageing. 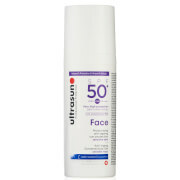 Providing you with all day protection, one application a day will reduce fine lines and wrinkles whilst reducing the loss of skin's own moisture content, so there's no need to moisturise. 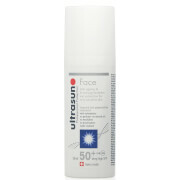 The formula contains Ectoin for active DNA and cell protection as well as S.O.D, an enzyme that effectively neutralises skin-damaging free radical activity stimulated by exposure from the sun.